Achievements: 2015 Pan-Am Silver Medalist, 2013 National Champion & Team USA first boat for Women's Canoe. Originally from Illinois, Colleen's dad introduced her to the sport of whitewater kayaking/canoeing at a young age. She progressed to competitive slalom racing by the age of 13. After taking a hiatus from a shoulder injury, she came back with a new outlook and a new discipline, women's canoe (W-C1). 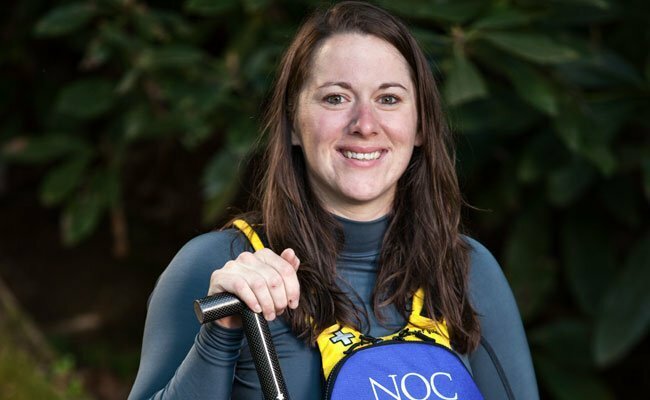 Colleen is currently the 1st boat on the USA Canoe and Kayak Team for W-C1, a position she has held since 2011. She boasts many awards and victories, most notable the 2013 National Champion and silver medalist at the 2015 Pan-American Games. Colleen's paddling knowledge combined with a business managment degree from Belmont Abbey College make her the ideal person to manage NOC's Outfitter's Store. When she isn't working or paddling, Colleen enjoys adventuring throughout Western North Carolina and hanging out with her dogs, Nahla and Mae.